Reliable performance for users and intelligent design built to stand the test of time. Quick Start (Manual Mode), 9 standard Workouts including Heart Rate Control, and the 1-Mile Fitness Test and Gerkin Protocol with E3 View HD Optional Display. 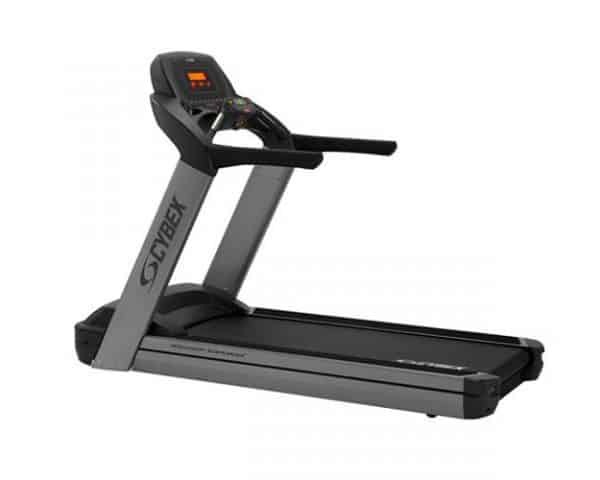 The Cybex 625T is a treadmill that delivers the performance features clubs need to keep members happy and business healthy. This treadmill is engineered to provide the better stability and greater comfort that keep your members coming back each day. Take a closer look at the 625T Treadmill and you will notice that the belt is covered edge to edge to minimize wear and improve member safety. The deck can easily be flipped and rotated to further extend its life. Most important, the treadmill is built to the highest manufacturing and environmental standards in our ISO 9001-certified plant, allowing it to stand up to the most demanding fitness environments and challenging cardio workouts. At the heart of the 625T Treadmill is the IS3 Intelligent Suspension System, the result of extensive research conducted by the Cybex Research Institute. 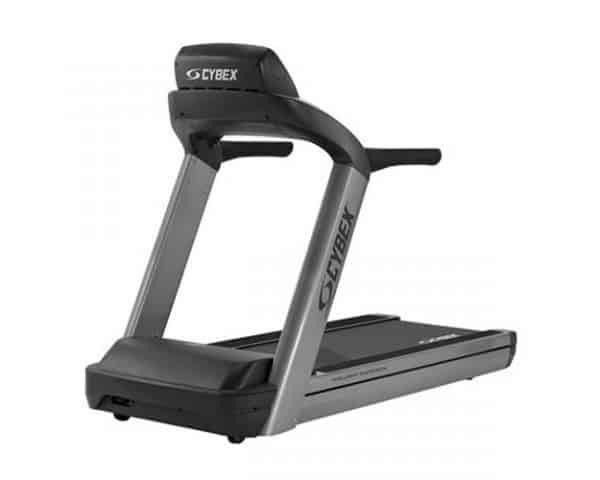 Using an advanced elastomer to cushion shock on every step, the treadmill deck is soft at landing, firm in the middle, and rigid at toe-off to precisely match the body mechanics of running. Runners will experience a smooth, comfortable ride with minimal stress, impact, and shock. 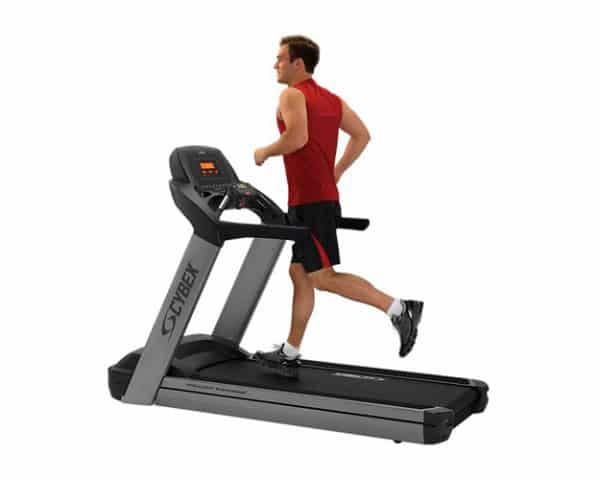 The Cybex 625T Treadmill console itself is designed to match the way a treadmill is used. By separating the console into two parts, we've given users the ability to use what they want and when. Metrics are at eye level while controls are closest to the users natural hand positions. 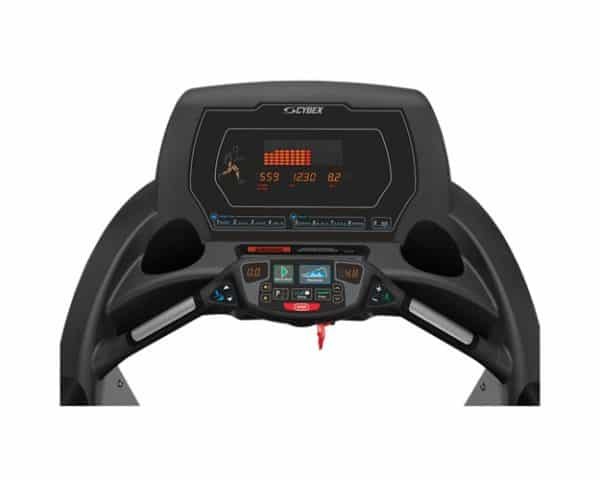 The 625T Treadmill's user centric design features Speed and Incline buttons right where they belong – in a centralized easily accessible place next to the contact heart rate grips. Choose from any of our five standard colors (white, black, platinum sparkle, metal tone gold, black chrome), or select from over 180 custom colors to match any decor and gym environment. Only Cybex offers color customization in cardio and strength equipment, providing a premium feel and brand consistency that will help you attract and retain members at your gym. Programs: Quick Start (Manual Mode), 9 standard Workouts including Heart Rate Control, and the 1-Mile Fitness Test and Gerkin Protocol with E3 View HD Optional Display; Workouts have 10 levels.